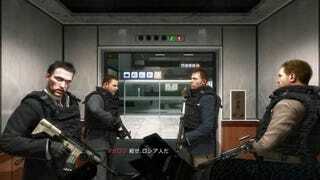 How Did Modern Warfare 2 Do On Its First Day In Japan? Keep in mind: these figures are early and official numbers are forthcoming. On December 10, Call of Duty: Modern Warfare 2 went on sale in Japan. In a country traditionally dominated by role-playing-game, this American first-person-shooter actually is posting reasonably healthy first day sales — that is, for a Western FPS in Japan. Early data has the Xbox 360 version of MW2 selling 42,000 copies while the PS3 version apparently sold 64,000 copies for a grand total of 106,000 copies of Modern Warfare 2 in Japan. That is low compared to what it did in the West, but extremely high for Japan. Generally speaking, Western games just do not sell 100,000 in Japan on their first day. Baby steps, folks, baby steps! Other things to keep in mind: Some players have already bought the imported versions and others have been complaining about the localization job MW2 Japanese publisher Square Enix did. In a recent interview, Square Enix president said that "youge-", the term used to separate Japanese games from foreign titles, has had a "terribly discriminatory meaning" in Japan. If these numbers are correct, not bad Modern Warfare 2, not bad at all. Could this mean the Japanese gamer demographic is *gasp* changing?